A Highly Recommended USB HUB for XIM Apex. While, the XIM HUB does the job... honestly I wasn't quite happy. After time I noticed some random odd issues with it, asking for a replace wasn't an option living in Mexico. So, I tested (both voltage and amps) of my unit, non powered was delivering barely 4.55V on the limit. Liked its small form factor want to keep using it so I got this power-supply. Connected to APEX HUB volts ramp up to healthy 5.05 with load. But a new problem came up. Powering the hub with the external power supply turns into a USB charging station, and that's not good for your electronics been constantly feed by current even when turned off. If you care about its life-span or wellness (can get damage on a power surge) you should avoid this type of hubs, or unplug the power supply every time you turned off your console. I have a Logitech Alto Connect, an old product with a nice powered USB hub 2.0, works like it should: provides steady 5.12V only when the device to which is connected is turned on, once turned off (stand-by) hub stop feeding and discharged. Loved it, but is huge. I tried several hubs, more than I would like to admit and all had issues, unstable voltages, too high, too low, and specially most worked as charging stations even though it wasn't specify on its description. I also tried USB Hub 3.0 from Anker and D-Link, those were incompatible as you know is not 100% supported by XIM. If you are out there, searching for a good quality USB hub for your dear XIM Apex and peripherals, I hope you find this thread useful. Why use a Powered USB HUB?. For Juicing all of your devices, specially power hungry ones like Corsairs RGB mechanical Keyboard series or if you use more than one mouse. Overall top performance is guarantee when your devices are been supply correctly. Using a USB adds Input Lag. No: USB Hubs Are Input Lag Monsters? . Get a USB Hub that is not a charging station. 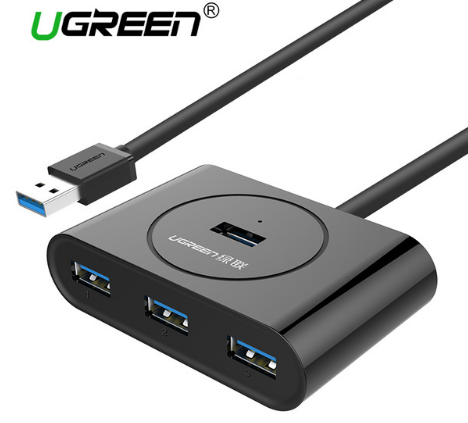 Due the high popularity of mobile devices, modern and basic USB Hubs besides transferring data also works as charging station on stand-by mode, meaning when the device to which the hub is connected is turned off, the hub acts as a charging station and keeps feeding the devices. Old school hubs stop feeding the devices when the host device was turned off, and then discharged as a safety feature. Leaving your devices turned off yet still receiving current is not good for its life-span. Besides if a powerful electrical surge happens your hub and the devices plugged can get damage. Re: A Highly Recommended USB HUB for XIM Apex.